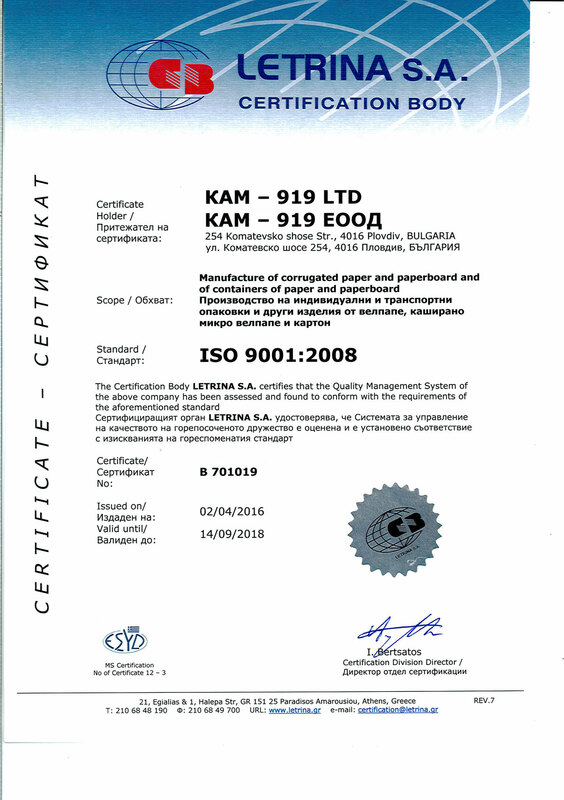 In 2013 ‘KAM – 919’ Ltd won and realized project connected to the business program ‘Progress of human resources’. 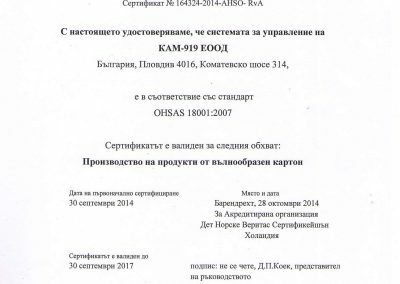 The company used non-recourse finance to buy personal safety instruments and specialized clothes for all workers. 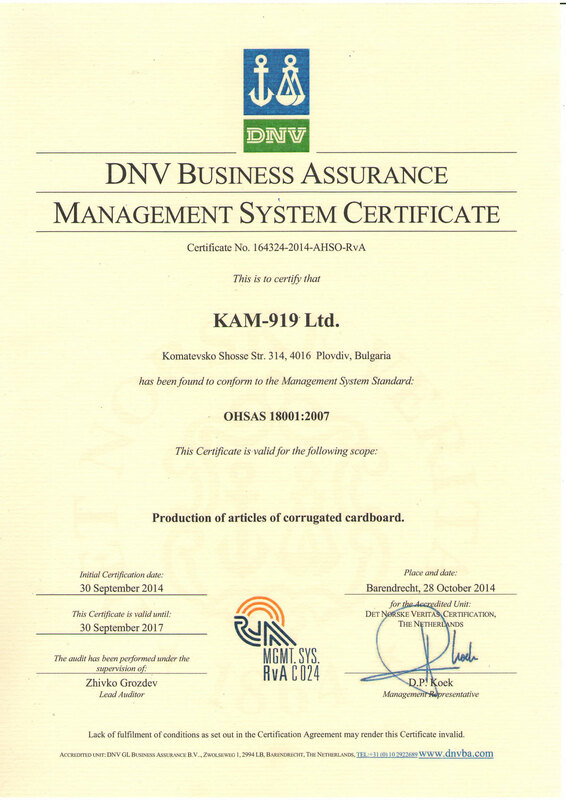 ‘KAM – 919’ Ltd prepared itself and received the certificate for the safety working conditions OHSAS 18001:2007. 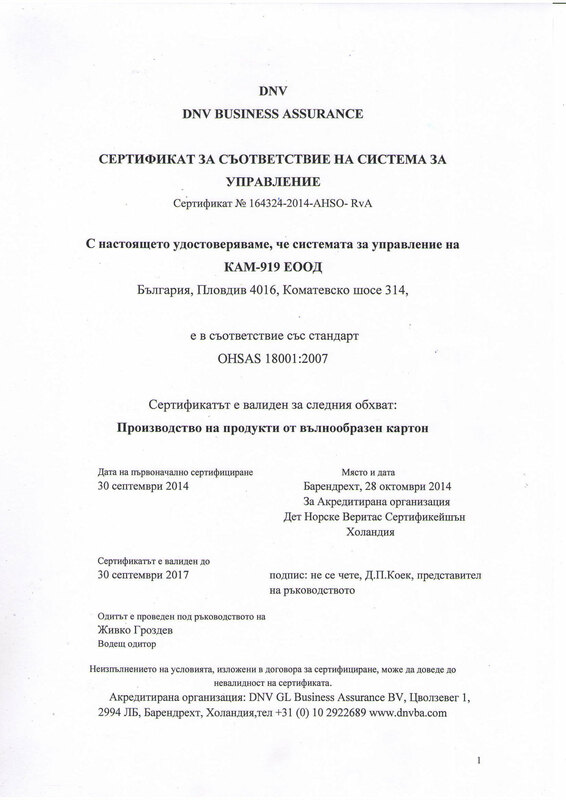 Company made an analysis for the work activity, changed the light in the oldest production premises, and restored local aspiration system over the source of harmful emissions. 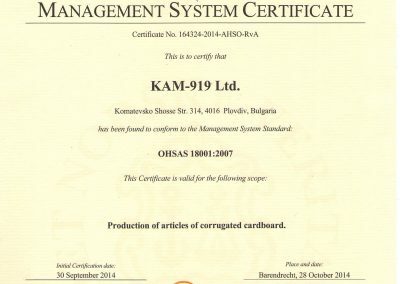 Packages are appropriate with requirements of European Union. 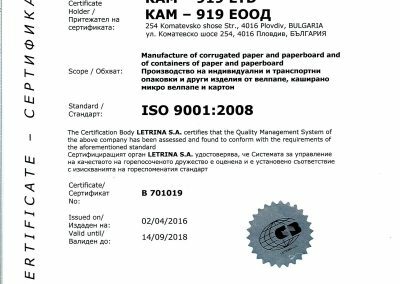 Since April 2006 the company has received ISO 9001:2008 from International Organization for Standardization.